As the season of New Year’s resolutions follows hard on the heels of Christmas feasting, former contestant on BBC’s The Great British Bake Off, Martha Collison, knows there’s a way to have your cake and eat it. "I love eating cake," said Martha, "and baking has opened many doors for me, so I’m not about to give it up! 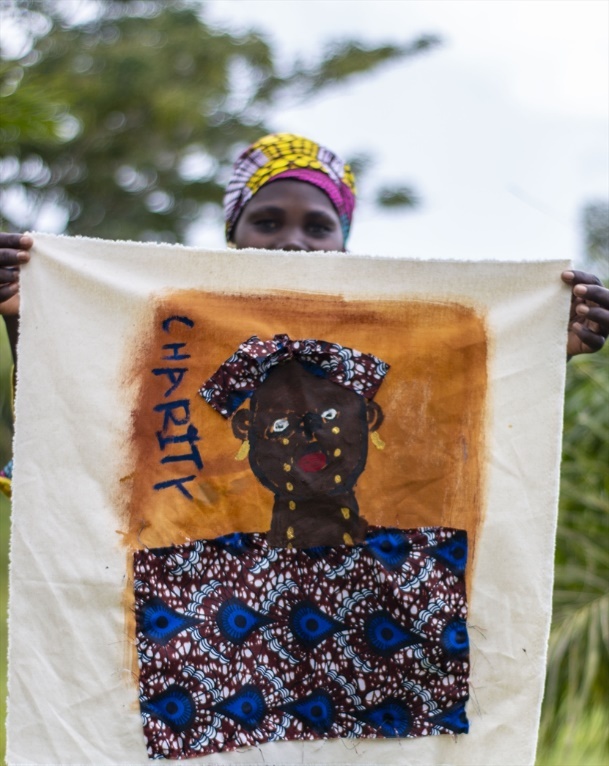 But this year I’m going to be working with Christian relief and development agency Tearfund to use my cooking skills to open doors for other people, too." Martha is supporting Tearfund’s No Child Taken campaign, which is working to protect children from trafficking, disease and disaster. She was inspired to join up when she saw TV chef Tom Herbert talking about a baking workshop he gave for Tearfund in Laos last year. "It brought home to me that my love of baking can change lives," said Martha. "After Tom had taught young people in Laos how to make a simple snack called sticky sticks, a 17-year old girl called Ler was encouraged to set up a snack-making business with friends. Ler’s income is now large enough to enable her to reject pressure to move to Thailand for work, and her new enterprise still allows her time to help out on the family farm. "I’m going to carry on eating cake as well as baking it this New Year," said Martha, "but I’ll be concentrating on recipes with a lighter touch, using ingredients such as vegetables. 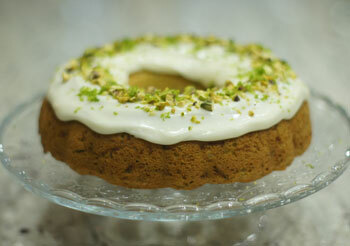 Why not join me and try out my Pistachio and Lime Courgette Cake?" 1 Preheat the oven to 180C. Grease a bundt tin with butter, making sure you get into all the corners or the cake will stick. 2 Rinse the courgettes and then grate (skin on) with the coarse side of a grater. If it’s too fine it will just turn into mush. 3 Place eggs, oil, and sugar in a bowl, and beat until creamy. Fold in sifted flour, bicarbonate of soda, and baking powder. Stir in the courgette and the half the grated zest of the lime. 4 Pour the mixture into the pre-prepared tin and bake for 30-35 minutes, until golden on top and firm to touch. Remove from oven and leave to cool completely before assembling. 5 To make the icing, beat the cream cheese, icing sugar and juice of half a lime together until smooth. Spread on the top of the cold cake. 6 Chop the pistachios and sprinkle them over the cake, then top with the remaining grated lime.